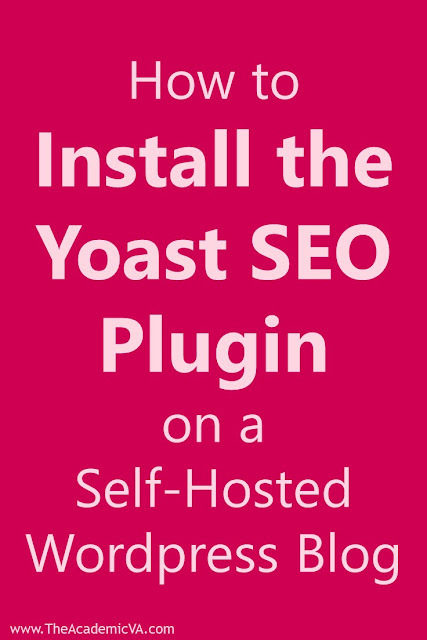 If you're wondering how to install the Yoast SEO Plugin on a self-hosted Wordpress blog, you've come to the right place! The short video below walks you through the process. But if you're a Blogger user, don't worry! I walk you through everything in my SEO Basics course. Make sure to click over and check it out. Now that you've watched the video, you may be thinking....why do I need this plugin? And who even cares about SEO? First, let's dive into WHY you need to care about SEO. SEO stands for Search Engine Optimization. It can be a blogger's best friend! SEO allows readers to find you with very little extra effort on your part. Do the research and take the time to find out what people are searching. From there, make sure you use that keyword phrase several times throughout your post - naturally. Also make sure to focus on your headings, use your Alt Tags correctly, and give your images great titles and pin descriptions. When you've done all of this, THEN your blog will be more likely to show up in searches. We all want free traffic, amiright?! And that, my friends, is why you WANT to install the Yoast SEO plugin. It will help make the entire process of ensuring each post has great SEO less daunting. Are you using Blogger? No worries then! You may not be able to download the Yoast SEO plugin, but you can still rock your SEO game! If you need a checklist and videos to guide you through the entire process, you can find them here. What are you waiting for? 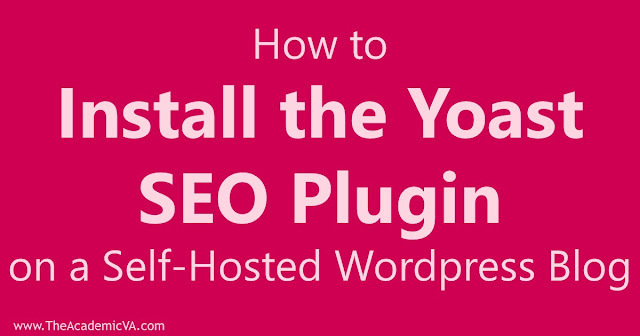 Now you know how to install the Yoast SEO plugin, so you're all set to up your SEO game even more! Check out the newest podcast on Elite Edupreneurs! Hey all! 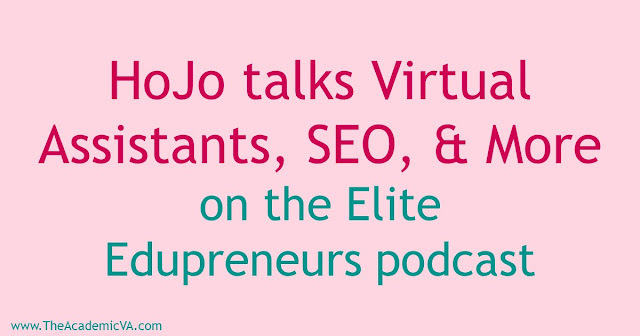 Just a quick note to let you know I am on the Elite Edupreneurs podcast this week. 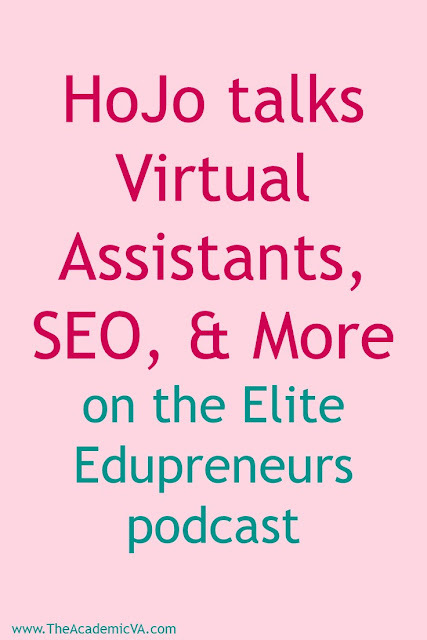 Rachel and I talk a TON about virtual assistants, SEO, Pinterest, and more. You'll also learn a bit more about my teaching background and TpT story. Click HERE either image below to go listen to the podcast now! 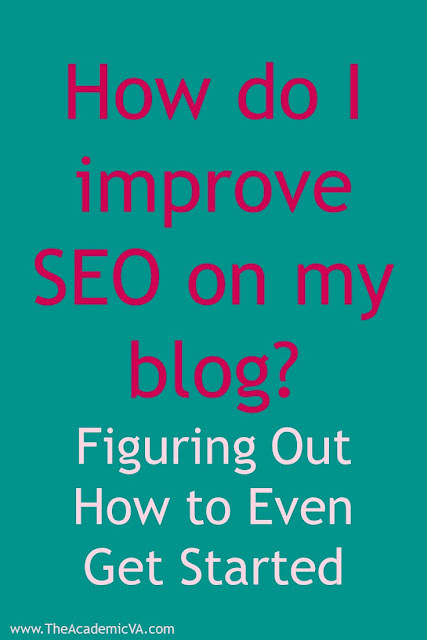 Have you ever sat back, looked at your site, and wondered, "How do I improve SEO on my blog?" Let me tell you - SEO is a crazy beast. But it's not quite as intimidating as you may believe once you understand the basics and have a plan in place. I firmly believe the #1 thing you need to do when you start focusing on SEO for your site is to create a plan. Without one you're going to get overwhelmed and quit. I started blogging back in November 2011. Some of those posts were ugly. Hideous even. Looking back - I really had no idea what I was doing. Then in 2015 I became a virtual assistant and started learning a bit about search engine optimization (or SEO). I knew I had to change something on my blog, but I really had no idea where to start. I had the basics of SEO figured out - but I had over 600 blog posts to go through. The thought of that alone was enough to make me want to curl up in a corner and never blog again. But I kept hearing how people who focus on SEO show up in searches and have their pins show up more. I wanted in on that action! Step 1 - Work on your top 10 overall posts. Once you have those blog posts determined, work through them one at a time and complete SEO on each one. These first posts may take you awhile, but that's ok! These posts are already doing well for you, so you want to get that SEO "juice" going big time! Step 2 - Work on your next 10 blog posts. Hopefully you're now in a bit of a groove. Each of those first ten posts probably took me close to an hour to do, but by this second round of posts I was doing most of them in the 30-45 minute time range. Step 3 - Decide which path to take next. My third step was to start looking at seasonal blog posts, but I've worked with enough bloggers to know this is not always the next most logical case. I had a LOT of seasonal content, so I wanted to make sure those posts were showing up for me in search engines and on Pinterest. BUT I know other bloggers have chosen to focus on their main material. For example, one blogger I worked with sold a lot of problem based learning material. She made those blog posts her next focus because she wanted to have them seen more. Another blogger worked on her classroom management line because she had created one massive bundle on TpT and she wanted to drive each of those posts to that new resource. Regardless of your third step - decide what it is, continue with your plan, and go. Step 4 - Keep going. Yet here it is - May 2018 - and of those 400 blog posts I have to clean up, I've only done about 200. (Over the course of 2+ years. Oops!) My plan is to do two a week, so I have a long road ahead of me. And some weeks I forget to actually do the clean up. BUT I have a plan in place and I keep moving along at a snail's pace. 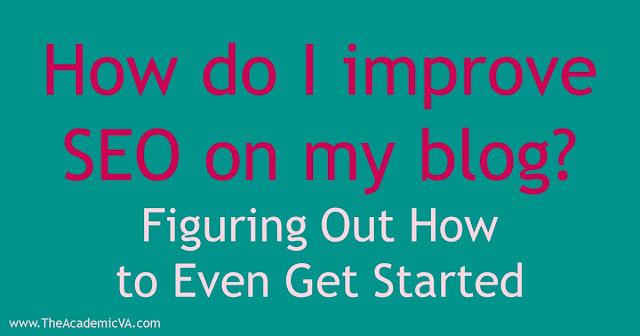 The next time you're wondering, "How do I improve SEO on my blog?" - keep these four steps in mind. If you want to save time, grab a copy of SEO basics. I spent hours researching and learning how to do SEO, but my friend Shelly and I have created one great course to ensure everything you need to know to get started with Search Engine Optimization is in one convenient place. With this SEO Basics course and the four steps outlined above, you're going to be well on your way to showing up in more search engine inquiries and Pinterest searches. This will lead to more pageviews and ultimately to more sales in your Teachers Pay Teachers store. What are you waiting for? You can improve SEO on your blog! Grab your SEO Basics course, create a plan, and start today! You'll be glad you did!